Single entry and exit, staying no longer than 30 consecutive calendar days from the date stated on the visa (uninterrupted stay). Single entry and exit for 1 time only , staying no longer than 90 consecutive calendar days from the date stated on the visa (uninterrupted stay). Multiple entries/exits for 30 consecutive calendar days from the date stated on the visa (Enter/exit for multiple times). Multiple entries/exits for 90 consecutive calendar days from the date stated on the visa (Enter/exit for multiple times). Multiple entry/exit for 1 year. Maximum stay of no longer than 90 consecutive calendar days for each entry. Private approval letter shows your names or your group names on it only, unlike shared approval letter that contains bulk of other applicants. This service is 8 USD per application. *This fee excludes US $25 for the stamping fee by cash at Vietnam airport. Fill in a secure online visa on arrival application form which takes a couple of minutes. 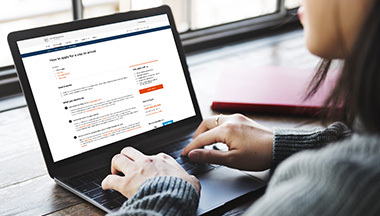 Confirm the information for processing your visa letter including your name, date of birth, nationality, passport number and the date of arrival and then pay the service fee using credit cards or debit cards. 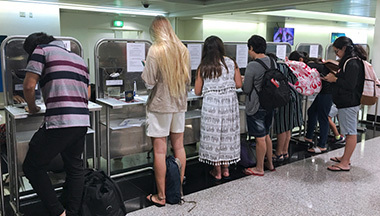 Receive the "Visa approval letter" by email in 3-5 working days, print it out, prepare 2 passport size photos, stamping fee in cash, entry/exit form and your original passport to get your visa stamp when you arrive at Vietnam airport. 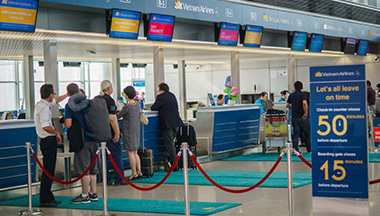 Visas are required for American visitors — a one-month, single-entry visa is $20 through My Vietnam Visa (myvietnamvisa.com), an online agency that arranges for documents to be picked up upon arrival at Vietnam’s international airports. First let me thank you for your excellent service. Many of my friends have used your service and my experience only reinforces what they have already recommend to me. I will be pleased to tell others about your very efficient services.